Fast-acting aerosol leaves a fresh scent anywhere the air needs refreshing. Effectively counters powerful odors found in health care facilities, schools, restrooms, retail settings and more. Scent: Tuscan Garden; Physical Form: Liquid; Application: Odor Control; Capacity (Volume): 13.8 oz. Fast-acting aerosol leaves a fresh scent in the air. 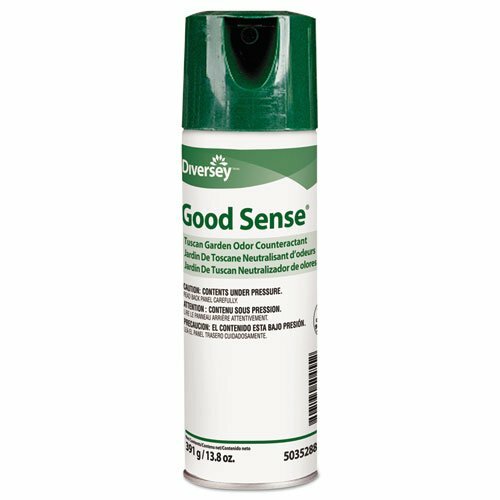 Effectively counters powerful odors found in health care facilities, schools, restrooms, retail settings and more.